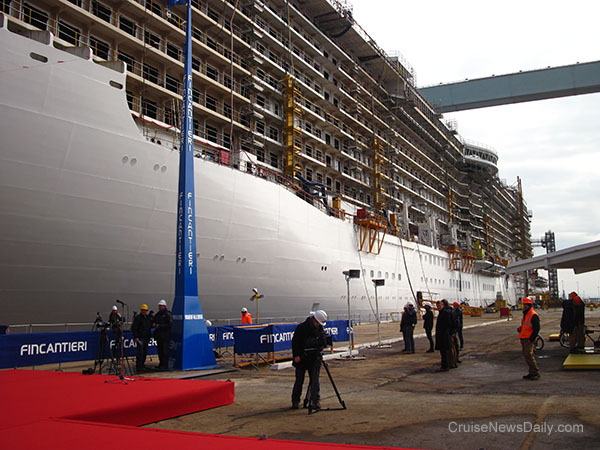 Tuesday (March 26, 2013) was a special day in the life of Regal Princess. It was the day Regal Princess truly became a ship, fulfilling its purpose for the first time and floating on water. 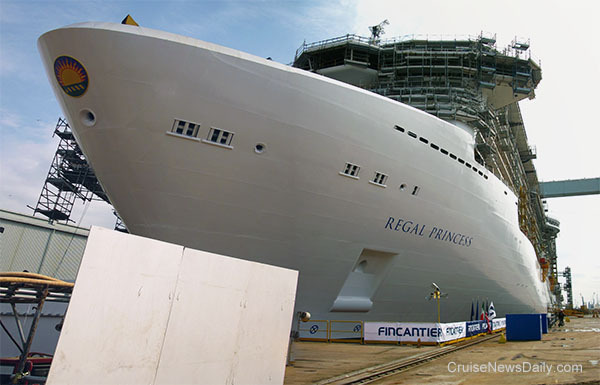 After having been assembled in the drydock at Fincantieri's Monfalcone yard, the moment came when the valve was to be opened and water would flood into the drydock. The ship was built resting on wooden blocks in the bottom of the dock. After about 48 hours of seawater flooding in, the ship will float up, and Friday (March 29) it will be towed out to a finishing dock where will work will continue over the next year as the interior is completed. Regal Princess is shown here just before the float up begins. Note the level of completion of the superstructure. 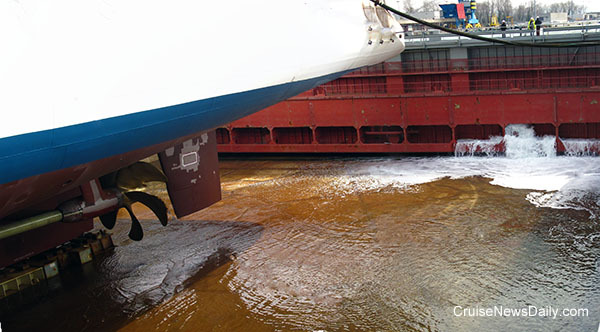 Here you see the bow thrusters at the front of the ship. Note the supports on which the entire ship is resting. Here the first water begins to flood the drydock. 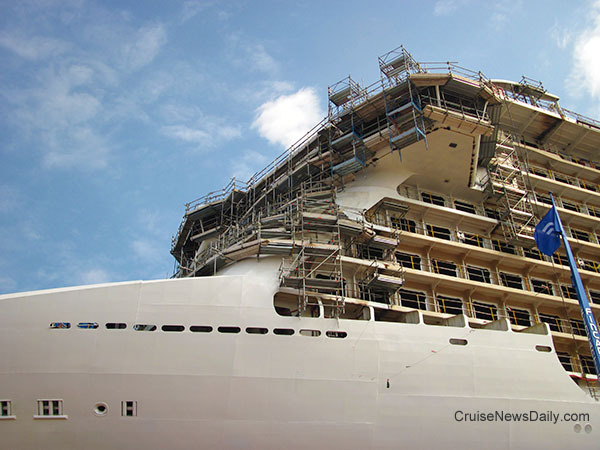 Filling the drydock takes approximately 48 hours. 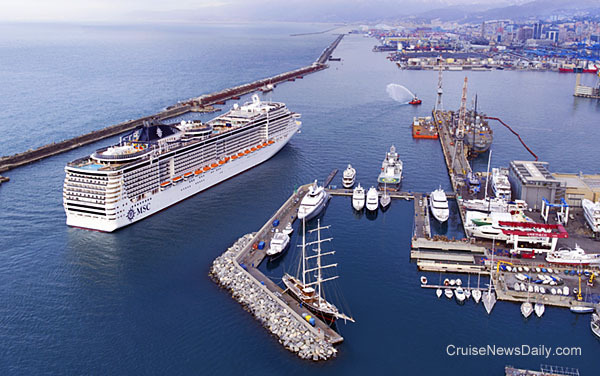 MSC Cruises continues to grow. 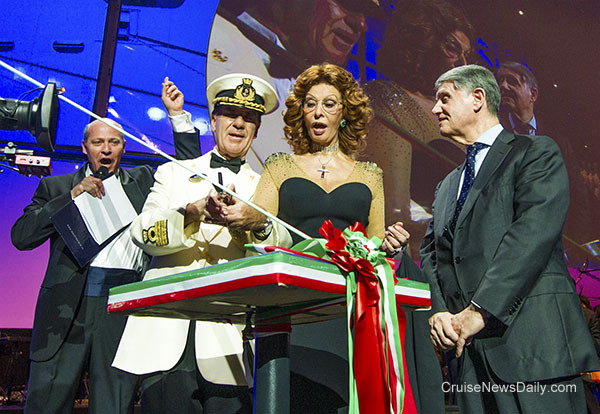 Perennial godmother Sophia Loren officially named MSC Preziosa in Genoa on Saturday night. Sophia Loren cuts the cord which released the bottle of champagne against the side of the ship. 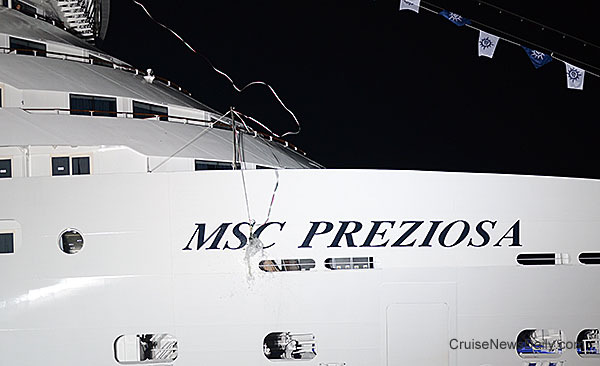 Photos copyright MSC Crociere and Cruise News Daily. May not be copied or reproduced without permission.